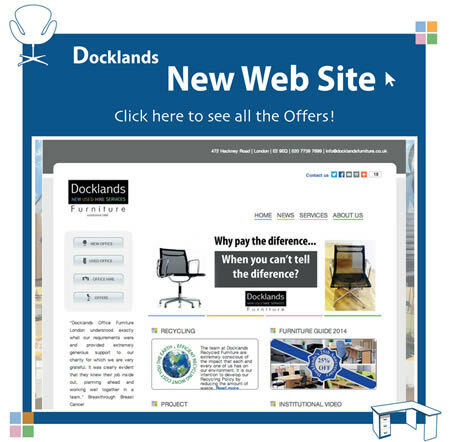 This also means that Docklands are your number one choice if you have office furniture to be cleared. If you have redundant office furniture at your offices, call us in for a free on site survey to give you an estimate for your office furniture clearance needs. Docklands have been providing second hand office furniture and office furniture clearance services in London and the South East to businesses since the 80's. 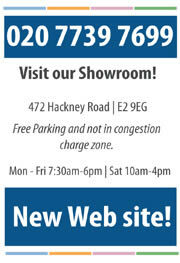 Call us on 020 7739 7699 or visit our London Showrooms in Hackney Road. Are you looking for Office Refurbishment Companies? Docklands have been refurbishing offices for over two decades and have some great case studies to show you the results! We will visit your offices and carry out a free on site survey of your redundant office furniture or surplus office furniture, with a view to either reselling, recycling or re homing for charity. Office furniture disposal is something that we take very seriously, and we ensure that your old furniture is disposed off in an environmentally friendly manner. We have been in the heart of London for over two decades, providing exceptional quality recycled and used office furniture to local businesses, blue chip corporations and work at home general public.